$90M promised for Indiana trails. Will we be living the dream? 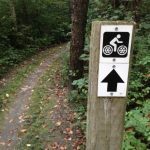 Uncategorized Comments Off on $90M promised for Indiana trails. Will we be living the dream? Indiana plans to infuse $90 million into new trails over the next few years. Announced last week by Gov. Eric Holcomb, the money is aimed at hiking, biking and horseback riding trails that fill in the gaps between existing trails and communities. We can only guess for now, but one that might be a candidate is the Marquette Greenway, which would link the 58 miles from Chicago to New Buffalo, cruising by the dunes and Lake Michigan. This project has the kind of collaboration that the state will be seeking since so many communities, companies and nonprofit organizations are involved, pledging a collective $11 million for the 30 miles that have yet to be built, says Mitch Barloga, active transportation manager for the Northwest Indiana Regional Planning Commission. A few million dollars from the state, he says, could help the communities to come up with their match, boosting the area’s application for about $23 million from a federal program called BUILD. Word on that grant may come by year’s end. SOUTH BEND, Ind. 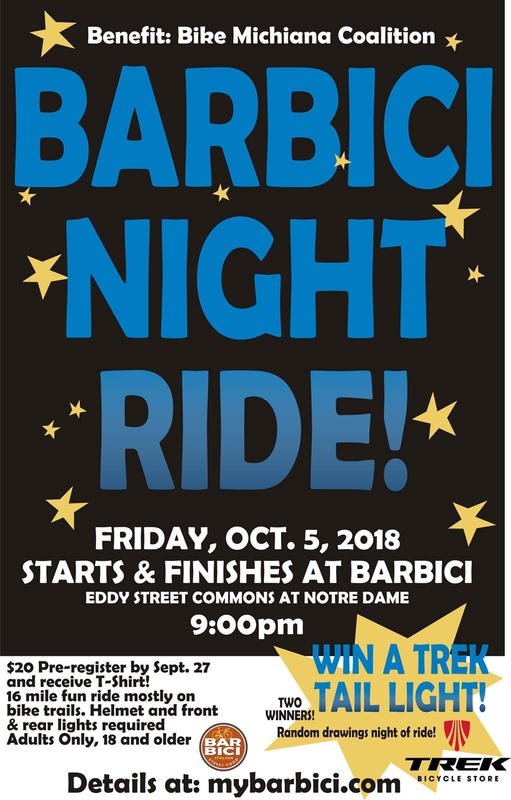 (WNDU) South Bend Mayor Pete Buttigieg announced Wednesday that the city is now one of the most bike friendly communities in the Midwest. 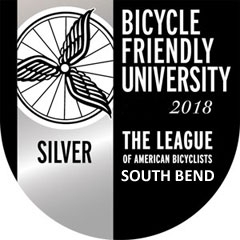 The mayor was all smiles as he held the award given by the League of American Bicyclists, recognizing the city’s effort towards making South Bend a more environmentally and bike friendly city. The city will now have a “Bike Friendly Community” sign to mark its Silver Level status. South Bend is only the second city in Indiana to receive the Silver designation. 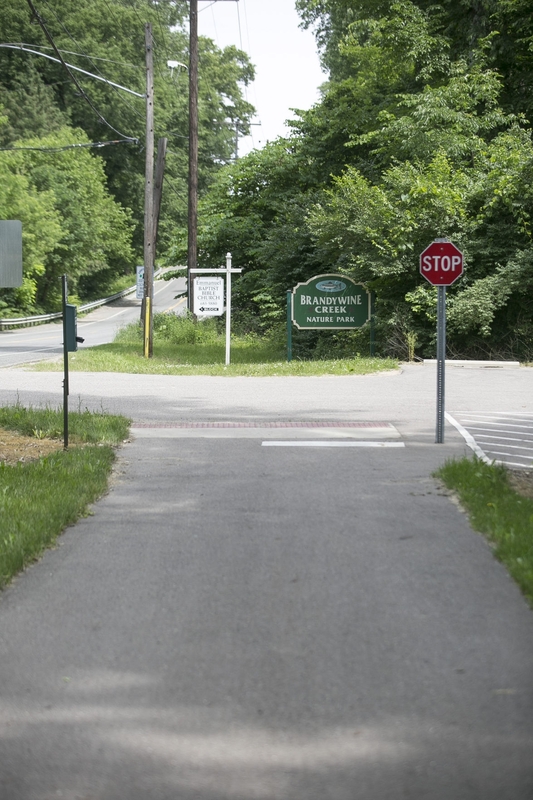 NILES — It will be at least another year before the final gap in a popular trail is filled in, allowing walkers and bicyclists an uninterrupted path from Niles to Mishawaka. Bids on the project to create a 1-mile section of trail through Brandywine Creek Nature Park in Niles Township had to be rejected, according to Jill DeLucia, chairwoman of the Niles Township Parks Commission. That means Indiana-Michigan River Valley Trail users eager to roll straight through beginning late this fall might not have that opportunity until the fall of 2019. “I’m very disappointed because I thought we were on track,” DeLucia said. Meanwhile, part of the trail just below the state line in Indiana has been finished. Officials had hoped trail completion on both the Indiana and Michigan sides would coincide this year. DeLucia said an informal conversation between project engineers and one of the bidders led to the decision by the state to reject the bids. She said the conversation was triggered in part because three bids for the approximately $875,000 project all came in about 30 percent higher than expected, although it’s unclear why.